Have you ever bought something online that was so incredible, you just had to share it with your audience? Imagine if you could monetise your recommendations? Well, Webfluential has done just that. Now with the Webfluential Performance Marketplace, you can get a commission on your favourite ASOS item, suggested Emirates flight or online course from Coursera. Social commerce – the premise that an audience buys goods and services because people they trust have illustrated the value and social proof of the goods and services through social media – is now a booming economy. As a result, Influencer Marketing is on the rise, with brands scurrying to source the right match of influencer to distribute their messaging to a hungry and trusting audience. 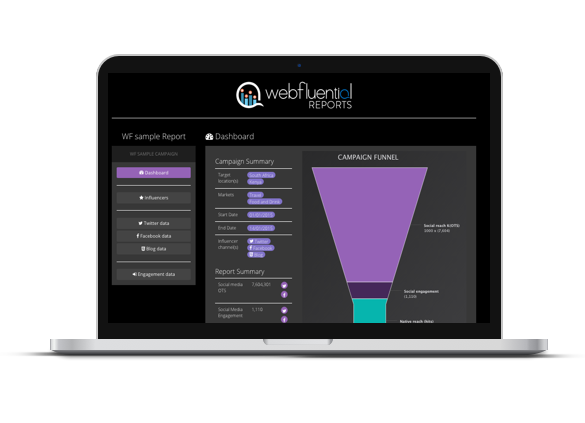 Webfluential has always championed the best interests of the influencer, and for those on the platform, provide value in other ways when campaign work is not available, such as AI driven personality insights, content insights and recommended brands for an influencer to pitch ideas to. 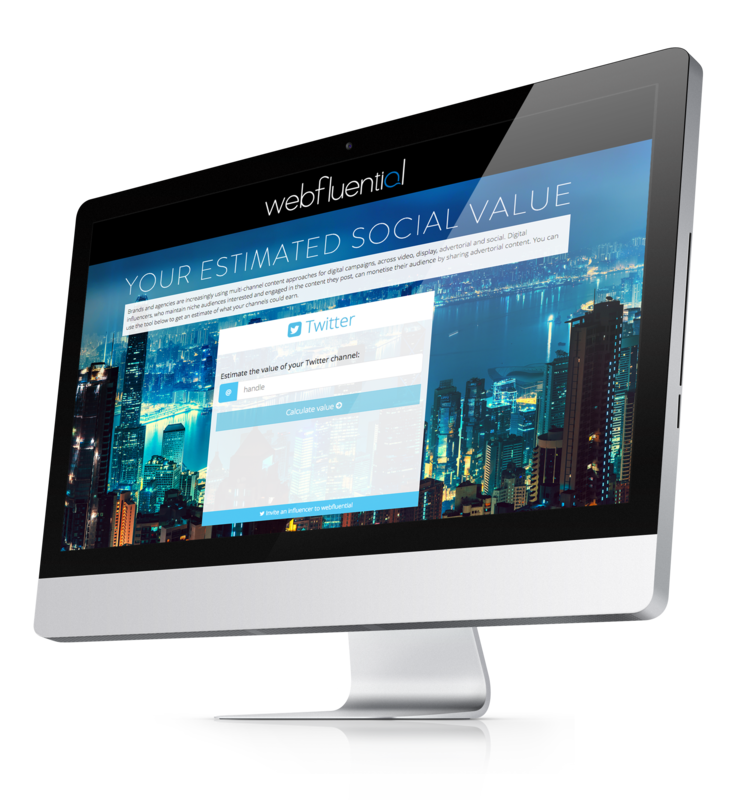 Today we’re launching the Webfluential Performance Marketplace – a way for our influencers to work with leading global brands and earn commissions on sales, on a constant basis – and thus take a step towards true financial independence as a full-time creator. We’ve teamed up with over 20,000 brands that sell goods and services online so that Webfluential influencers will be able to share a unique link for each merchant that can be posted on their channels and included in their articles. When sales are rung up, the influencer earns a sales commision, in cases of up to 50% of the value of the sale. This is as easy as installing the Google Chrome extension and linking it to the creator’s Webfluential account. “We’re very excited about merging the influencer marketing and performance marketing worlds together for our influencers. We believe that creators will become an increasing part of the story that brands tell, so by opening up our network of influencers now reaching over 1.3bn people globally, merchants can expect a lift in sales,” says Murray Legg, co-founder of Webfluential. As an example, influencers can write an article about taking a holiday to their favourite destination, booking the travel on Emirates, the accommodation on Booking.com and the photography equipment on BestBuy. Each of those merchants offer influencers a commission when sales are booked through their performance links. 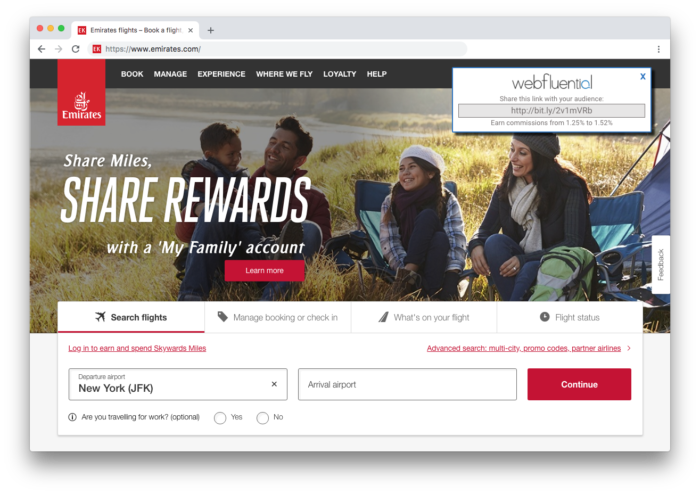 For influencers on Webfluential, they can start today by logging into their account and activating their Performance account. For those not on Webfluential, they can sign up here. Murray Legg is an active digital entrepreneur and holds a Ph.D in engineering. He is the strategy lead for Webfluential.